At Game On! 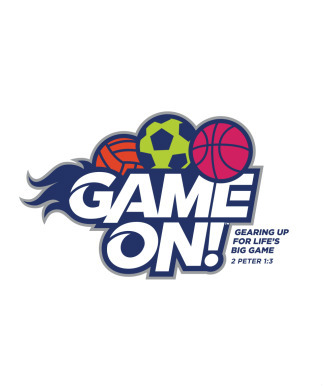 VBS, we invite your kids to grab their megaphones, lace up their cleats, and tune up their instruments. As they fill up the offensive line, sideline, and drumline, your players, cheerleaders, and band members will realize God has given them His ultimate playbook. He wants them to join His team, train hard, celebrate salvation, and encourage one another. Fellowship's VBS is for children who are 3 years old through 5th graders (just completed 5th grade). Click or tap here for more info or to register.